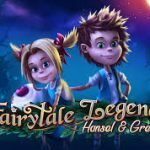 As part of its Fairytale Legends series, Net Entertainment has launched Hansel & Gretel today, April 24th, 2017. The game features high-definition graphics, six separate bonus features including free spins with multipliers, and a jackpot of up to 400 times your bet. 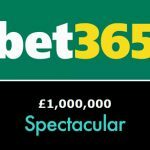 The slot went live at NetEnt casinos across the web today and has so far been met with praise from players and industry reviews. What Is the Fairytale Legends Series? The Fairytale legends series is a trilogy of games, of which Hansel & Gretel is the second installment. The first game in the series was Red Riding Hood. NetEnt have not yet released details as to what the third game in the series will be. > The game is a 5-reel, 3 row, 10 paylines slot. > Theme theme is based on the fairytale by the same name with Hansel & Gretel walking through the woods throughout. 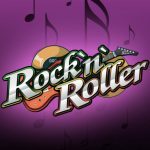 > Features include re-spins, stacked wilds, instant cash prizes, pick ‘em multipliers, and free spins. Net Entertainment, also known as NetEnt, is one of the biggest casino games providers in the world. It is headquartered in Stockholm, Sweden, where it is traded on the Stockholm Stock Exchange. 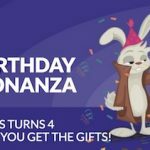 NetEnt has produced a long line of world-class games including Gonzo’s Quest, Starburst, and Guns n’ Roses. Where Can You Play Hansel & Gretel? Hansel & Gretel is available at most online casinos offering NetEnt video slots. GUTS is a top-notch online casino offering both installments in the Fairytale Legends Series. If you are a UK player and you head over to GUTS right now, you can grab a ￡10 no deposit bonus. Players from elsewhere in the world (including the UK) are eligible for a $/￡/€ 300 welcome bonus and 100 free spins on another popular NetEnt slot game – Starburst. GUTS has won best online casino multiple times and is a hugely respected casino brand with a high player approval rating. There is a large range of other slots to choose from, as well as table and card games like baccarat, blackjack, roulette and others.